Does nicotine cause cancer or cause cancer to spread? What effect does nicotine have on cancer treatments? As more and more quit smoking aids containing nicotine become available, these are increasingly important questions. On one extreme lies the benefit of nicotine replacement therapy—it can help people kick a habit known to cause cancer (and many other diseases.) On the other extreme are people who point out that nicotine can be deadly and that it was even first used as an insecticide. Tumor Initiation or Mutagenicity - This refers to the ability of a substance to cause the damage (mutations in DNA) necessary to convert a normal cell into a cancer cell. Tumor Promotion/Tumor Progression - This refers to the ability of a substance to cause a tumor already present to grow more rapidly and/or spread (metastasize) to other regions of the body more rapidly. Effect on Cancer Treatment - This refers to the effect a substance may have on cancer treatments, for example, if a substance inhibits or prevents the action of chemotherapy drugs. Effect of Nicotine on Tumor Initiation or Mutagenicity - Recent studies have shown that nicotine has mutagenic and tumor-promoting activities. There is also evidence that nicotine can cause DNA damage—the type of damage that can lead to cancer. There is also evidence that nicotine augments the process of carcinogenesis—meaning that the process of a cell becoming cancerous in response to another substance is enhanced. This also doesn't mean it isn't dangerous for those without cancer. The effects below may occur when a cancer is present but has not yet been diagnosed. Effect on Tumor Promotion and Progression - While nicotine may not be responsible for the first cells in a tumor becoming cancerous, several additional studies have shown that once a certain cancer develops, nicotine can promote the growth of the tumor. For example, nicotine has been found to promote the aggressiveness of pancreatic cancer in mice. It has also been found to promote proliferation, invasion, and migration of tumor cells in non-small cell lung cancer. 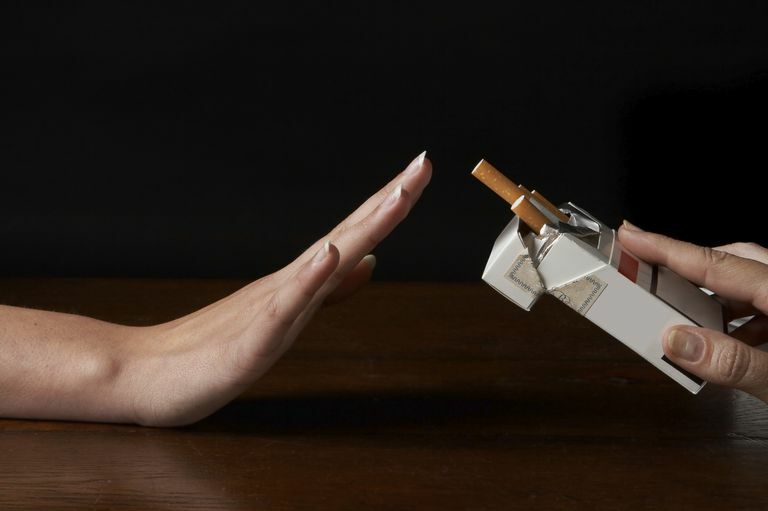 Effect on Responses to Cancer Treatment - Nicotine has been found to interfere with the some of the treatments for cancer, which could mean in turn that nicotine could lower the survival rates from cancer. For example, nicotine can promote resistance to the chemotherapy drug Platinol (cisplatin) in lung cancer cells. It's important to note that, in most of these studies, nicotine is evaluated separately from tobacco smoking in order to make sure that effects are due to nicotine alone rather than other substances present in tobacco. Enhancing the initiation of cancer (as noted above). Stimulating tumor growth (by stimulating proteins responsible for cell division and growth). Facilitating cancer spread (for example, by improving the motility of cancer cells (as mentioned below). Causing chemoresistance - Through stimulating various pathways, nicotine may cause a tumor to be less sensitive to chemotherapy agents. Nicotine stimulates a protein known as beta-arrestin-1. This protein, in turn, enhances the mobility of certain lung cancer cells allowing them to spread and invade more easily. Catassi, A. et al. Multiple roles of nicotine on cell proliferation and inhibition of apoptosis: implications on lung carcinogenesis. Mutation Research. 2008. 659(3):221-31. Dasqupta, P. et al. ARRB1-mediated regulation of E2F target genes in nicotine-induced growth of lung tumors. Journal of the National Cancer Institute. 2011. 103(4):317-33. Dinicola, S. et al. Nicotine increases survival in human colon cancer cells treated with chemotherapeutic drugs. Toxicology In Vitro. 2013. 27(8):2256-63. Gemenetzidis, E. et al. FOXM1 Upregulation Is an Early Event in Human Squamous Cell Carcinoma and it IS Enhanced by Nicotine during Malignant Transformation. PLos One. Published March 16, 2009. Grando, S. Connections of nicotine to cancer. Nature Reviews. Cancer. 2014. 14(6):419-29. Grozio, A. et al. Nicotine, lung and cancer. Anticancer Agents in Medicinal Chemistry. 2007. 7(4):461-6. Guha, P., et al. Nicotine promotes apoptosis resistance of breast cancer cells and enrichment of side population cells with cancer stem cell-like properties via a signaling cascade involving galectin-3, a9 nicotinic acetylcholine receptor and STAT3. Breast Cancer Research and Treatment. 2014. 145(1):5-22. Hermann, P., et al. Nicotine Promotes Initiation and Progression of KRAS-Induced Pancreatic Cancer via Gata6-Dependent Dedifferentiation of Acinar Cells in Mice. Gastroenterology. 2014. 147(5):1119-1133. Medjber, K. et al. Role of nicotinic acetylcholine receptors in cell proliferation and tumour invasion in bronch0-pulmonary carcinomas. Lung Cancer. 2015 Jan 15. (Epub ahead of print). Nair, S., Bora-Singhal, N., Perumal, D., and S. Chellappan. Nicotine-mediated invasion and migration of non-small cell lung carcinoma cells by modulating STMN3 and GSPT1 genes in an ID1-dependent manner. Molecular Cancer. 2014. 13:173. Nishioka, T., et al. Sensitization of epithelial growth factor receptors by nicotine exposure to promote breast cancer cell growth. Breast Cancer Research> 2011. 13(6):R113. Petros, W., Younis, I., Ford, J., and S. Weed. Effects of tobacco smoking and nicotine on cancer treatment. Pharmacotherapy. 2012. 32(10):920-31. Pillall, S. et al. B-arrestin-1 mediates nicotine-induced metastasis through E2F1 target genes that modulate epithelial-mesenchymal transition. Cancer Research. Published Online First January 19, 2015. Printz, C. Stronger nicotine addiction associated with higher risk of lung cancer. Cancer. 2014. 120(23):391. Schaal, C., and S. Chellappan. Nicotine-mediated cell proliferation and tumor progression in smoking-related cancers. Molecular Cancer Research. 2014. 12(1):14-23.